To view a PDF of the workbook or specific chapters click here. If you are a California vintner or winegrape grower and would like to request a new username and password for the SWP online system, please click here to complete the participant information sheet. If you have an existing login and need an email reminder, please email info@sustainablewinegrowing.org with your request. The information collected on this sign-up sheet will be used to provide you a username and password to access the online system as well as to allow us to set-up your customized Enterprise. Maintaining this data in a secure and confidential manner is a hallmark of the CSWA program. 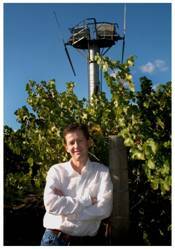 SureHarvest has securely managed CSWA grower and winery self-assessment data for more than six years. Data from over 1,800 vineyard and winery participants representing over 293,404 vineyard acres and 164.4 million cases have been kept secure and confidential. To learn more about CSWA's confidentiality policy, e-mail info@sustainablewinegrowing.org. California Sustainable Winegrowing Alliance, Wine Institute, and California Association of Winegrape Growers. 2012. 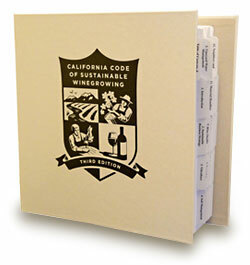 California Code of Sustainable Winegrowing Workbook (3rd ed).